Peachtree Publishing Company, 9781561459407, 160pp. When Charlie exaggerates about his dad's career and convinces his classmates that his dad would be the greatest Career Week speaker ever, what will happen if his dad actually does come and his friends find out the truth? When his classmates are boasting about their parents' jobs, Charlie gets carried away and leaves the impression that his accountant dad is not only the president of his company but also that he will hand out free calculators to everyone. With rumors flying around the school and expectations escalating, Charlie jumps the gun and tells his teacher Mrs. Burke that his dad can speak to their class during Career Week. Now Charlie has no choice. He has to get his dad to come in. But then, just before the big event Mr. Bumpers loses his job. Charlie is dumbfounded and devastated. How will he explain to his class? Will his dad still come in during Career Week? Fortunately, Mr. Bumpers has some very surprising plans of his own. 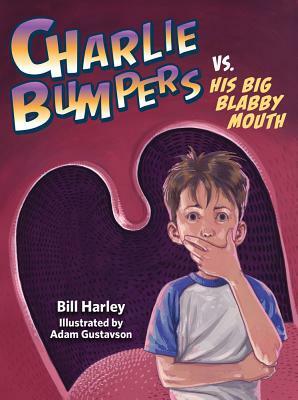 This fun series for young readers from Grammy-award winning author, Bill Harley, uses humor to illuminate important values such as learning to live together as a family and making the best of a bad situation.